Galactic Tennis is a free space tennis app for Windows 8 and 8.1. When you run the game on your device, you will be presented with a screen wherein you can choose to start the game itself or configure the game’s settings. When you click on the Play button, you will be prompted to select the difficulty level of the game. Once chosen, you will be presented with the gameplay interface where you will be able to hit the puck by maneuvering the paddle. You can move the paddle around via the arrow buttons on the keyboard. The paddle is attached to a spacecraft and the matches being played on other planets in space, hence the game gets its name Galactic Tennis. Galactic Tennis is available for free from the Windows App Store. 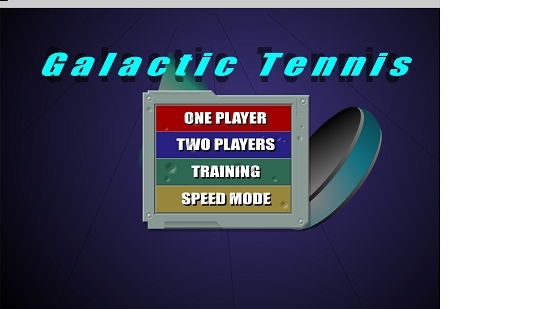 When you install and run the Galactic Tennis app on your device, you will be presented with the below interface. When you click on One Player button, you will be asked to choose the difficulty level of the game. Once chosen, you will be presented with the gameplay screen. This is shown in the below screenshot. You control the paddle towards the front of the screen. Your score is displayed at the top right corner of the screen. The paddle can be moved with the arrow keys. 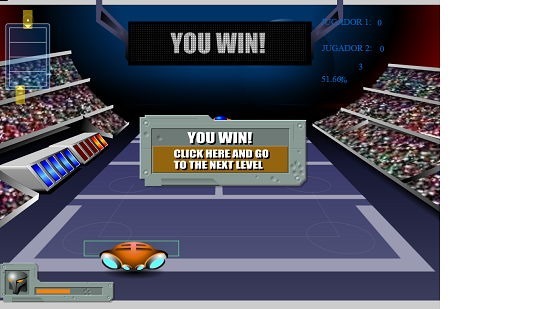 It’s game over after a certain round of puck shots, and you are shown your result on the screen. 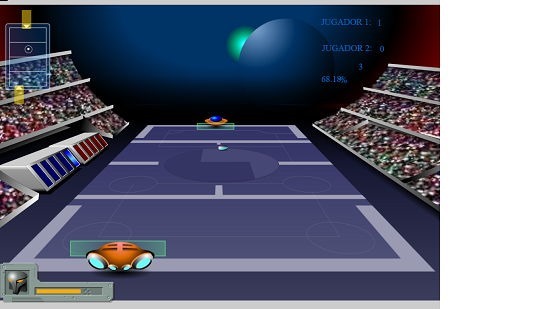 This wraps up the main features of Galactic Tennis for Windows 8 and 8.1. Galactic Tennis makes for a good download on any and all devices running Windows 8 and 8.1. You can grab it for your device from the link below.